Most of us will agree that they look very sculptural…. In my previous post I showed how Gehry succeeds to design a sculptural building (Disney’s concert hall) and preserves its functional program. 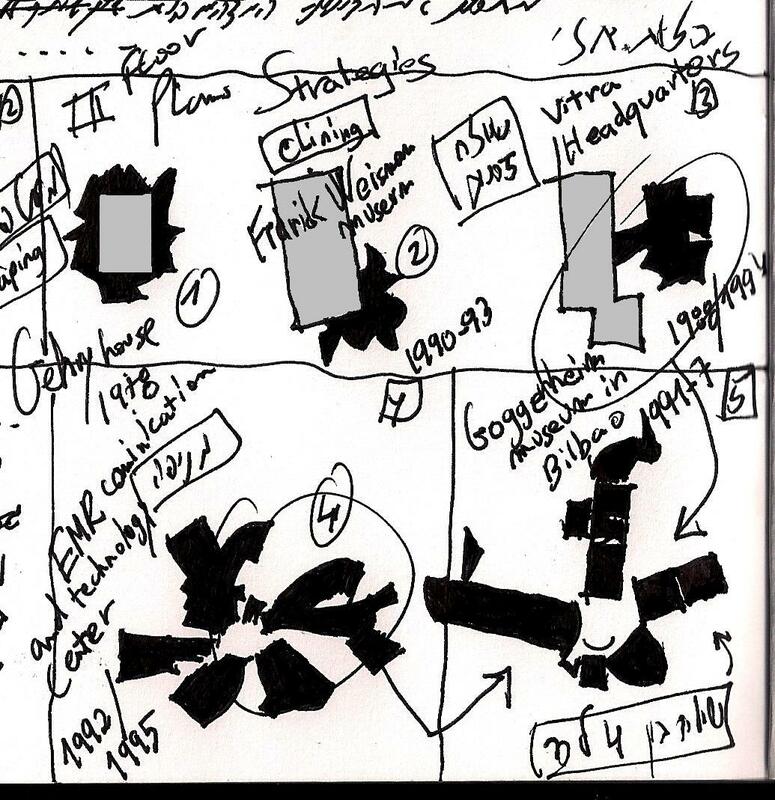 In my next Posts I will show Gehry’s strategy, dealing with this challenge. see my sketchbook above…. 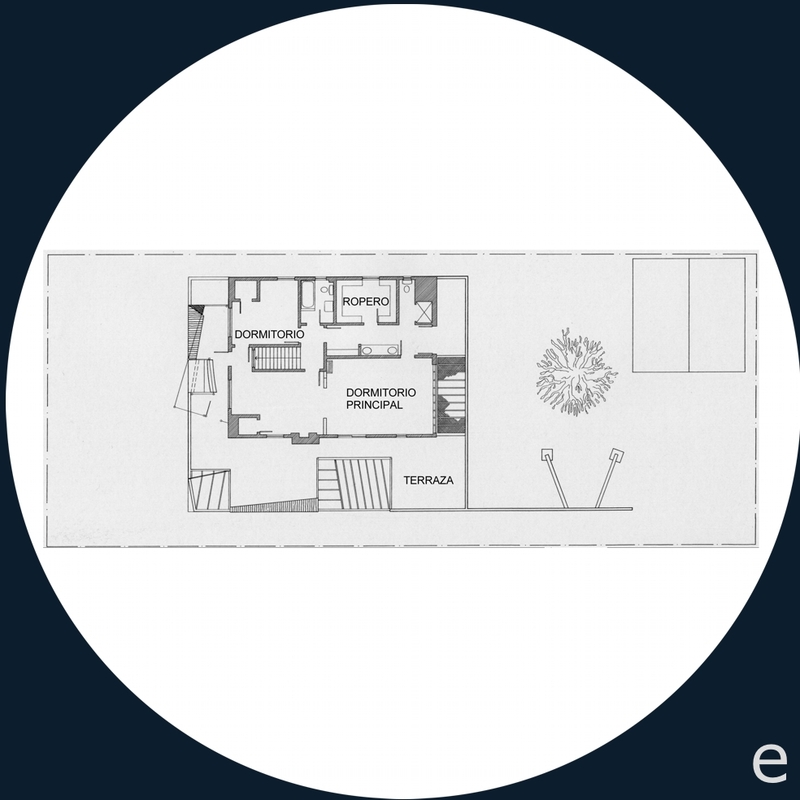 In this post we will start our journey revealing Frank Gehry’s floor plan Strategy with his own house, designed at 1978. 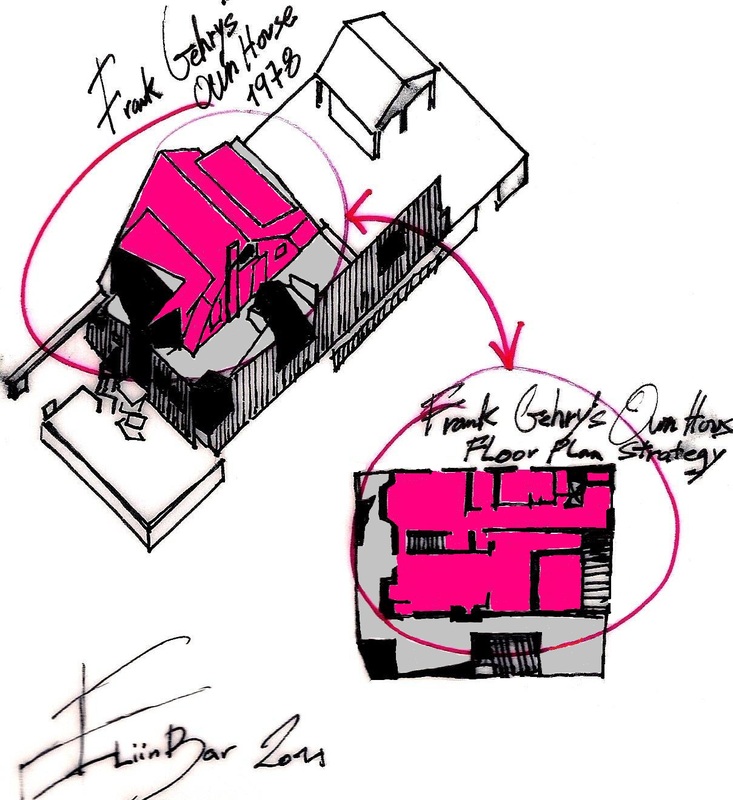 From “Stories of Houses”: The story starts when Gehry’s wife, Berta, bought a small pink bungalow. 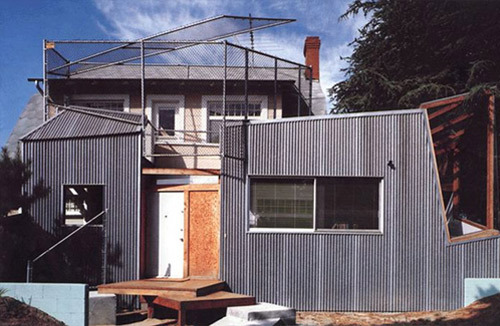 Gehry decided to redesign what he considered “a dumb little house with charm“, to build around it and try “to make it more important“. 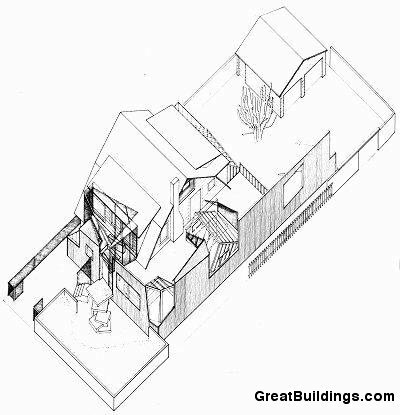 Gehry is very aware to the “needs” of the building ,Like once said Le Corbusier “a house is a machine for living”. Gehry develops tools (Codex rules), and uses his architect skills to realize his architectural vision.